Right now, I have about 12 WIPs that I am working on this week with the intention, hope, lofty ambition, faraway dream of finishing at least one by come the weekend. I have no idea which one would qualify as my most pressing, but as far fun and engaging go, this Halloween themed version of Spun is my favorite. I did the paper piecing in one night (after the wees went to bed) and squared up and pieced it together in the morning. I’m thinking of making this the center of a Halloween themed medallion quilt. 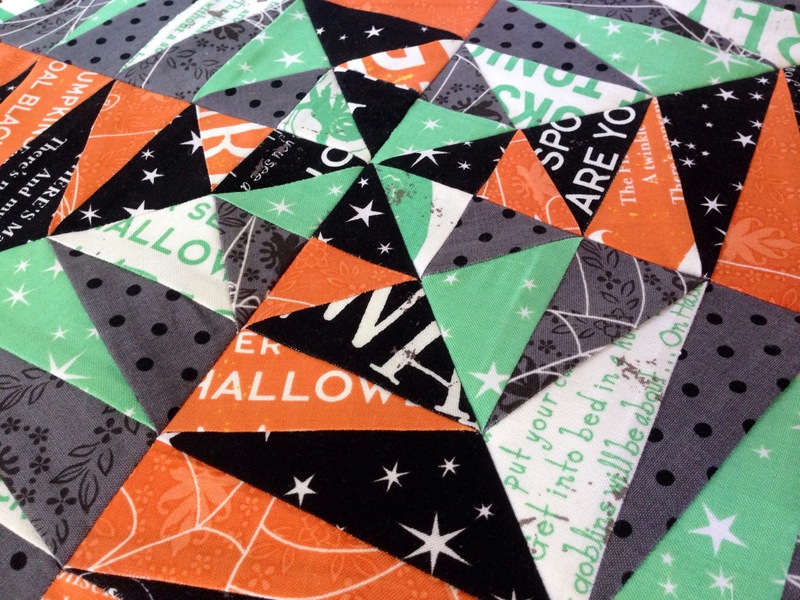 You can make your own Spun, Halloween flavored or not, with the pattern here.